Our response to your requirements? Our components made from carbon fibre and glass fibre composites or fibre-reinforced plastics ensure the necessary lightweight properties as well as ideal stability. This makes them especially suitable for coping with the tough demands of professional motorsport. Furthermore, we offer not only manufacturing tailored to specific requirements but also comprehensive consulting and on-time delivery to the destination of your choice. In doing so, we deliberately set the bar high on your behalf – after all, it’s all about getting your vehicles in the best possible shape. With BRÄUTIGAM, all services are provided from a single source, and one representative looks after you throughout the process. We take a particularly objective and in-depth approach to advising you right from the start, which reflects our working methods. We are also happy to come and work with you on your premises upon request. Formula One expertise – for the road. Our experience in international motorsport has laid the groundwork for our ability to offer excellent performance in the automotive industry for manufacturers, dealerships and consumers. Our focus is on exclusive sports cars and particularly innovative vehicles, such as bicycles made from carbon fibre. Perfection for sports cars, using carbon fibre, glass fibre or fibre-reinforced plastic. It could be damage to the monocoque, crash elements or non-load-bearing parts of your sports car. If you need repairs to structural parts or other components, we will advise you in detail and conduct a comprehensive inspection. The latter generally takes the form of an ultrasound scan of the components affected. Only after a precise analysis and discussion with the client will the appropriate repairs be undertaken. 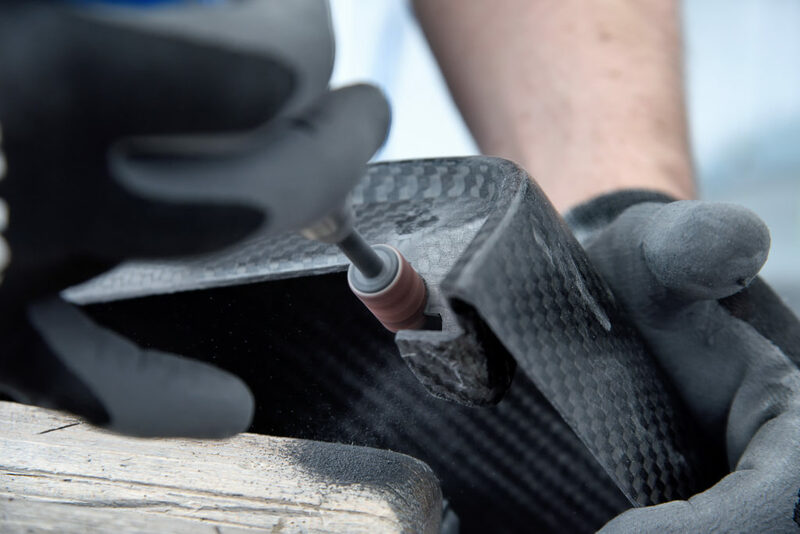 After clarifying how to proceed, we will create the moulds and tools needed for professional repair of the relevant components made from carbon fibre, glass fibre or fibre-reinforced plastic. Following assembly, we will conduct a final ultrasound scan to verify the overall repair work. We also offer the option of end-to-end transport of your vehicle. That means that we will pick it up and bring it back to you once repairs are complete. You can expect optimised services from a single source.